For any one that has a business, website or blog - purchasing advertising space on my natural hair blog, can also help my efforts in raising funds for my adoption. Naturally Beautiful Hair blog is one of the most popular natural hair community sites. Naturally Beautiful Hair Blog and Website are great sites to have your advertisement spotted on. With a large targeted audience of women and men from all over the world, your product and or image's visibility would be unlimited. ... More Testimonials here and here. 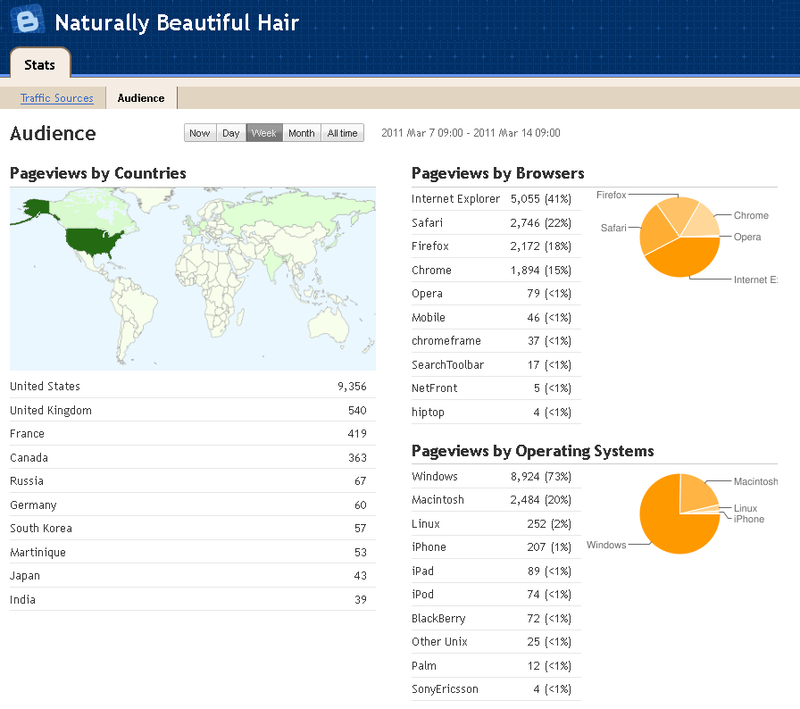 Also see Naturally Beautiful Hair's Blog Google and Bing.com search results. *Current Audience Statistic's & Global Audience as of March 14, 2010 (click image to see a larger view). ~ For information and rates on advertising space please, please see the attachment below or email me naturalhairbeauty@gmail.com or karensadoption@gmail.com. You can also fill out the adverting request form below. If you already have an image that you want to use for your ad, upload the image with your message.